Our Building Industry has to realize that water will not put out the advance of a raw wood framed high density fire once it gets to flash over pace and that is not our fire fighters fault. The fact that today we finally have Clean fire inhibitor chemistry that can be sprayed on lumber as framers take building north changes the game for the nay sayers with there propaganda that support steel and concrete. Mighty Fire Breaker Job Site Fire Protection is supported by UL GreenGuard Gold and that means its safe to breath even while it being installed and long after. Our Building Industry gets confused that E119 testing is needed when assemblies will not protect any wood framed building during construction. This means there is no assembly that will protect a wood framed high density project under construction when 90% of the building which is raw kiln dried lumber and once its gets burning it will jump even a concrete wall assembly. 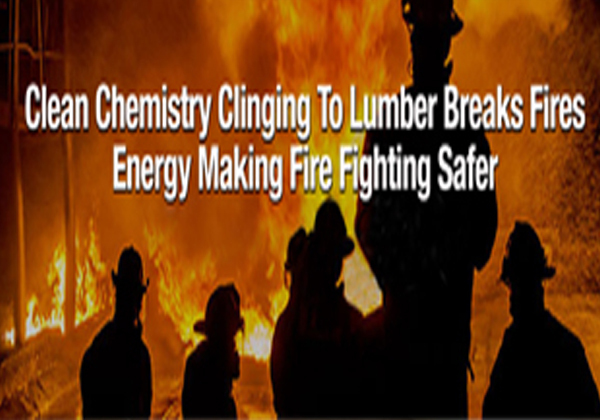 The only way to defend wood framed building during construction and before drywall and sprinklers are in place is with our fire inhibitor clinging to 100% of all that interior lumber. The best way to defend your workers our fire fighters and your company from MY Cousin Vinnie is to embrace Best Practices that is now available to all builders nation wide and defend 100% of your interior raw lumber while your project is being framed.